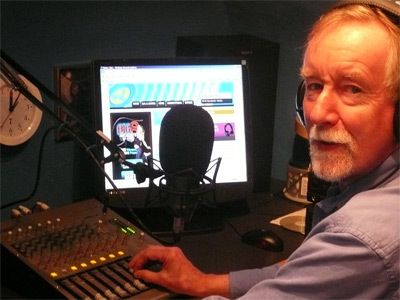 Mike has been involved in radio in some degree for over 40 years, and has been playing rock and roll music since his school teachers told him not to. Rock and Roll Saturday is a mix of the best of rock and roll spanning the late 50s and 60s but also including a few gems from more recent decades, plus some Motown and early soul classics. If it has what it takes, it will be in there! Rock & Roll knows no boundaries! Born in 1947, Mike is a full time lawyer, escaping to rock and roll at the weekends. Inspired by the pirate stations of the 60s, and the talents of Rosko and Wolfman Jack, Mike started his radio days in the late 60s presenting a weekly show to a Canadian University radio station. In the UK, he first presented "The Rock & Roll Revival Show" on Glasgow's Q96 in the 90s, continuing his rock and roll days in the last decade on SAGA and then Smooth Radio in Glasgow . Rock & Roll Saturday is designed to make sure you don't go to bed too early. The likes of Eddie Cochran, Buddy Holly, Elvis Presley and Jerry Lee, plus Beatles and Stones - just a few of the artists keeping you awake and in party mode on Saturday nights from 10.